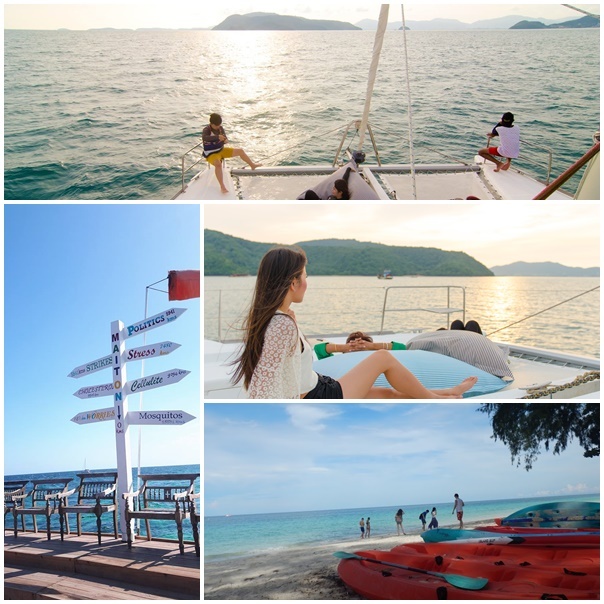 13.30-14.00 Depart from Dolphin pier (panwa), start the luxury day by catamaran. Enjoy sea breeze of Andaman Ocean. Now it’s time to take some nice picture on the luxury yacht, You can also grab a cool drink from ice box and laying on the boat‘s front net to relax and enjoy sunshine. 14.30 Arrive at Maithon Island, also called ‘Honeymoon Island’. Cruising around the island and looking for wild dolphins. 17.00 Thai buffet dinner with seafood BBQ is already to be served on the island. 18.00 Depart from Maithon pier, abserve scenic view of Panwa cape. 19.00 Arrive at Dolphin pier (panwa), Transfer back to hotels.